Recently we reported on Motorola’s XOOM tablet registering a software update, with the Android 3.0 (Honeycomb) OS powered tablet now rolling in support for Adobe Flash 10.2. The firmware upgrade, tagged as HRI66 comes with some great fixes and improvements, but something we all might have missed while folks at SlateDroid spotted the update. 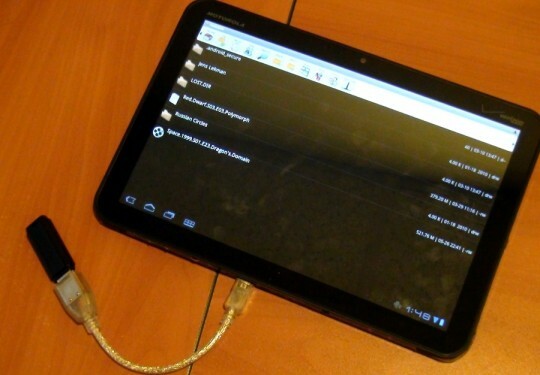 Even though, not yet official, the Motorola slate would be hosting the USB functionality. Xoom owners now have the ability to read media from USB drives, providing limitless amount of storage facility, only if you own the microUSB OTG cable as well as a rooted Xoom.